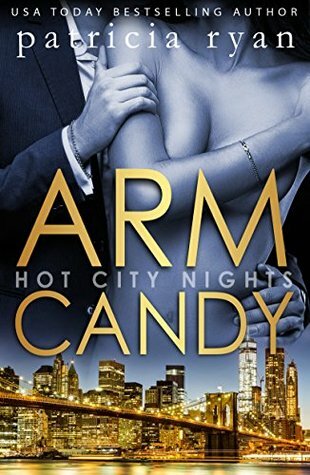 Book three in the Hot City Nights series by Patricia Ryan is Arm Candy. These are a series of three books, all independent reads, but set in the city. Nora Armstrong is a wholesome, virginal beauty fresh from the Midwest. Her cousin asks her to go out with David Waite as a favor to advance his event planning business. She can’t say no, any more than she can say no when David asks for a second date, and a third… According to “arm candy” rules, she should be safe… until David decides to break the rules. Suddenly Nora realizes it’s a risky business, being this smoking hot Brit’s faux girlfriend… and falling in love. This was a great fun read. Nora was far from keen to act as arm candy, but she feels that she owes her cousin and knows that this could help his business. Though she is reluctant to begin with, she soon connects with David and the chemistry between them grows stronger. The longer that Nora keeps secrets from David, about her career and life, the harder it is for her to share them with him. Of course, when she does, he's hurt that she has kept things from him and lied. Can he forgive her and move on? I enjoyed this book, I liked the growing romance between David and Nora. Like all of Patricia Ryan's other books, it's well written and the other minor characters are also interesting. If you're looking for a fun, romantic read, then I don't think that you'll go far wrong. I think that the first thing that I should probably admit, is that once I'd picked up Rough, I couldn't put it down. I polished it off in one day, if not quite one sitting. The pace is fast and the book drew me in quickly. On the whole I liked both Jared and Sienna. The chemistry between them was pretty much instant from the moment they met. As they learn more about each other, they soon discover that this is far more than a passing interest. Both Jared and Sienna have things in their past which make them reluctant to trust. Jared is dealing (and not particularly well, it has to be said) with PTSD. Sienna has been used and lied to by her family and the man that she thought that she might have fallen for. To begin with, neither of them were looking for more. 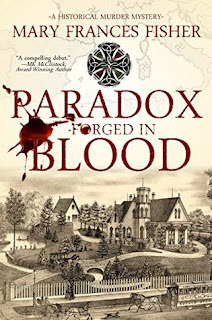 There are a few things in this book that I've come across in other similar books, but the quality of the writing and the way in which the story unfolded was different enough for that not to matter. I really enjoyed this book and as I said, read it far too quickly. This post is part of a blog tour, you can find the other blog posts here. I found this book available for review on Netgalley. I'm always interested in a mystery book and one with a historical setting is even more appealing. This book has so much going on. The heart of it is an unsolved mystery. To begin with it seems that the start of the book is just laying the scene for this mystery. In actual fact it's doing more than that. This book doesn't just have one mystery, but a number of them, all interwoven and connected as the story unfolds. There is so much potential in this book. Unfortunately, to some extent, that potential is also it's undoing. There is so much going on that it's easy to get lost in the multitude of characters and events. Although they all build to a final reveal, it would have possibly been better if some of it had been cut out and trimmed down slightly. The writing style wasn't completely to my taste. It tended to tell what was going on, rather than allowing the reader to experience the events as they unfolded along side the characters. It meant that at times the book was slow moving and you didn't really feel the connection with the people that you get in other books. On the whole I enjoyed the story. I do think that with a little careful editing, it could have been much better. Over all though, not at all a bad read. A few weeks ago, I read and reviewed the first book in the Lover's Dance series by Deanna Roy; Forbidden Dance. 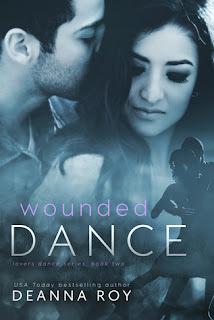 I really enjoyed it, so when I was given the chance to read the second book, Wounded Dance, I jumped at it. If you read my first review, then you'll know how unimpressed I was with Livia's Father. In this book, his actions and behaviour are shown to be even worse. We learn more about what happened in the past and what lead to the way he kept her locked away from the world. There are a few surprises here and they come quite early in the book. I said before that I'm looking forward to following the rest of the series, as long as it doesn't include a reconciliation with him. After this book, I'm even more adamant on that score. He's a horrible, emotionally abusive man. The plot of this book had far more to with Livia and her past, than Blitz. He's still there with her every step of the way, and being very supportive, but his story takes a back seat in this book. I suspect that there might be more to come, in future books, that will deal with his fame. There's still plenty of romance between Livia and Blitz, we also learn about Livia's past love as well. The father of her child. There's a lot going on in this book other than that though, with issues such as teenage pregnancy, lies within families and how people cope with things. I really enjoyed it, even more than the first book, and I'm looking forward to reading the next one in the series. 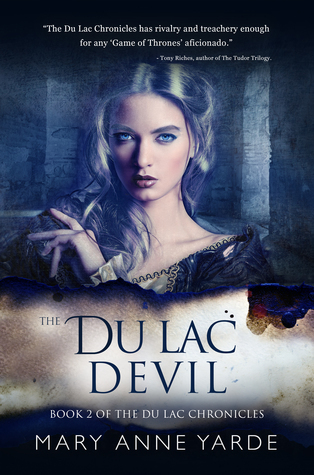 The Du Lac Devil is the second book (third story, when you include the novella, The Pitchfork Rebellion) in the Du Lac Chronicles series. My review of the first book can be found here. I received both free as part of a review tour. I couldn't wait to get stuck into the Du Lac Devil, after I had finished The Du La Chronicles and The Pitchfork Rebellion. In both of these stories, the character of Merton had stood out for me and this book is more about him. Merton is in many ways the typical tortured hero, bad boy who is misunderstood, or the victim of his circumstances type of character. I have to admit that I do have a bit of a soft spot for similar characters. There is something about Merton that really draws you to him. Time has moved on from the first book, Merton has been working as a mercenary, using his talent with a sword to earn money. His only aim is to help keep Alden's kingdom safe. Not only is the money he earns used to rebuild Alden's stronghold, but he is also being blackmailed by Wessex. As long as he keeps paying and spies for him, then Wessex will not attack Cerniw. Wessex is greedy, the more that Merton pays, the more that Wessex wants. Merton has found himself doing more and more things that have led him further down the path to become known as the feared Du Lac Devil. Not all that they say about him is true, he hasn't completely sold his soul to the devil, but as far as he is concerned, the more feared that he is the better. After finding himself in an impossible position, which he does not expect to get away from alive, Merton makes his way back to his brother Budic's castle, Benwick. Here he finds that Budic's wife and heir have died and that Alden is also there to pay his respects. Danger surrounds the three brothers, but are they able to unite to face it? Merton also comes back into contact with his one time sister in law, Lady Amandine. Merton discovers that the feelings between them are far from brother or sisterly. Soon, it becomes clear that she is what he wants and that if he is to have a future, then he wants it to be with her. Amandine returns his love (who wouldn't after all, there is something lovable about him). There is the small problem of her marriage to another man, that stands in the way. One thing I love about this series is the way that the characters sometimes question themselves and each other. Although Merton and Alden are loyal to one another, they don't just accept that as a given. They always have the possible fear that those that love don't return that loyalty and love completely. I think that this makes it more realistic and the characters more rounded. I loved this book, just as much, if not more, than the previous book. The story of the Du Lac brothers was gripping and I really can't wait to read what will happen next. I love the historic feel to this book. Of course some of the language may be a little modern, but the joy of writing about a period like this, is that it doesn't matter. The people then spoke very different languages to the ones we speak today, any language would be different to what they spoke, so it doesn't seem out of place. It probably does help that the author is English, so it sounds more natural to my English ear. I highly recommend this book and this series. If you are going to read it, please start with the first book, it would be a shame to miss the start of the series.